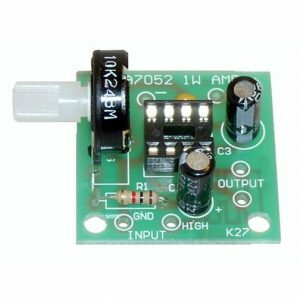 Mini Sound Activated Switch – K126. Soldering required. 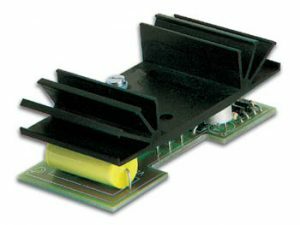 This Mini Sound Activated Switch, or mini-VOX – voice operated relay – is based on a circuit published in Silicon Chip, 9/1994, p31. We have improved it by putting an on-board Koa potentiometer in order to adjust the sensitivity. The idea behind a VOX is that instead of the user pressing a switch to activate a relay, the sound of the users voice itself activates the relay. 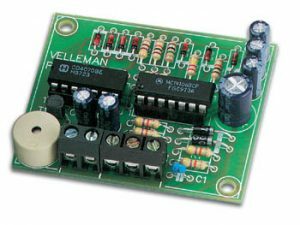 This Mini Sound Activated Switch Kit, or mini-VOX – voice operated relay – is based on a circuit published in Silicon Chip, 9/1994, p31. 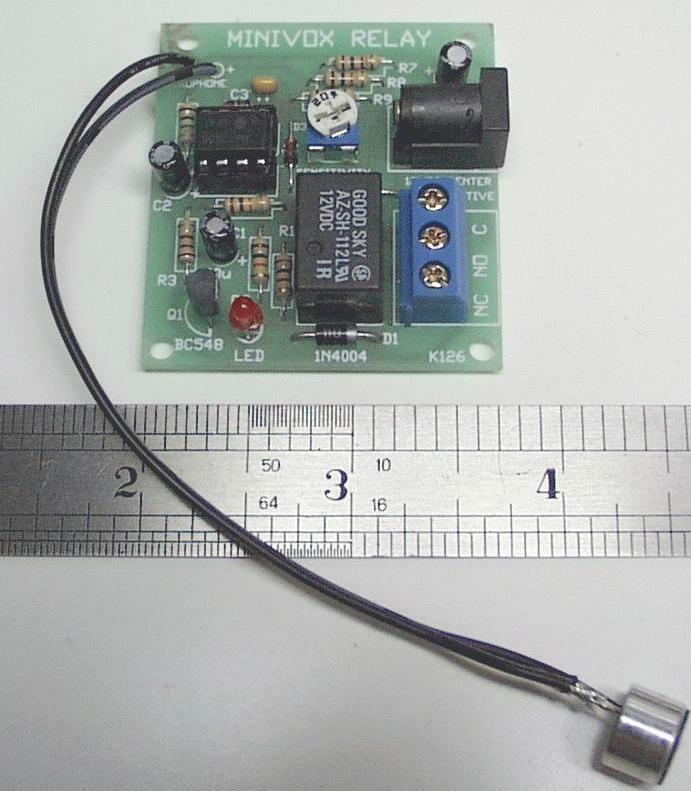 We have improved it by putting an on-board Koa potentiometer in order to adjust the sensitivity. The idea behind a VOX is that instead of the user pressing a switch to activate a relay, the sound of the users voice itself activates the relay. This gives hands-free control over devices like lights and tape recorders. 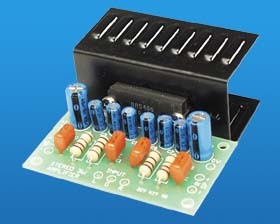 Relay stays on for 1 or 5 seconds (depending on components used) then shuts off. Different time values can be realized by using different value components (read k126.pdf for more information). Kit: Requires Soldering Assembly. Microphone can be connected on leads up to 2 feet away from the PCB. Off time delay adjustable by changing component values.